Tourism in Fiji - What is the toursim situation? 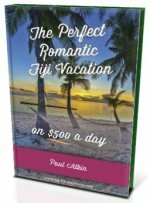 What is the situation of tourism in Fiji? Find out here about this very important industry and the facts and figures behind it. The statistics and numbers on this page have being retrieved from the Fiji Bureau of Statistics and from the Fiji Ministry of Tourism. Tourism is vitally important to Fiji's economy, and without it, Fiji would be in a spot of bother. Consider these latest figures. In 2012, it is estimated that tourism contributed to 35.8% of Fiji's gross domestic product (GDP). Direct employment was 11.7% of the total employment force consisting of 39,500 people. That doesn't include the flow on effect, with no official statistics available for indirect employment, perhaps 5,000 to 10,000 more. 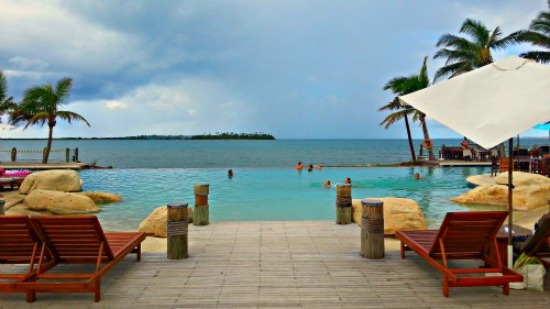 In 2012, Fiji welcomed 660,590 visitors to it's exotic nation. Around 75%, 495,000, stated they came for a holiday/vacation. That's the most by far for any purpose. U.K. and Japanese numbers have been declining in recent years with Chinese numbers dramatically increasing since 2010. The figures below are from 2011. As expected 90% come via air with around 10% coming via sea mainly with cruise ships. Visitors on a stopover/transit stay for an average of 2.0 days. Where in Fiji do visitors like to holiday? There aren't any official figures for this, however, one can gauge by the extent of tourist infrastructure and the amount of accommodation in the area. As stated, tourism is the backbone of Fiji's economy. Of the two factors that deter visitors, one Fiji has no control over, that being natural disasters like cyclones. The other they can control, and that's political unstability. Each time there's been a coup, it hurts tourism. Inevitably, tourism bounces back but the lull period hurts villages that rely solely/predominantly on tourism for income. Fiji is expecting an increase in visitors from China and India in the future. Bollywood is gaining popularity in Fiji especially with it's Indo-Fijian (Fiji Indian) population, bringing more Indians to Fiji especially honeymooner's.